TheArmenianKitchen.com : Who's in the kitchen? Armenians! 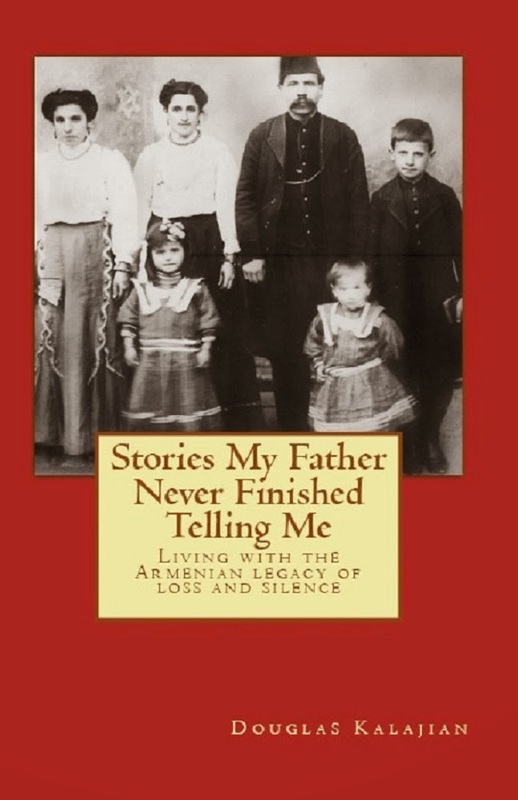 Our recent posts about the Armenian inspiration behind Rice-A-Roni and Colombo Yogurt got us thinking about the impact of other Armenians on the American pantry. Sometimes the Armenian connection is obvious. Those plastic-wrapped balls labeled Armenian String Cheese, for instance. Nowadays, you can find one brand or other in just about any supermarket, but the first commercial version may be traced to Kosrof DerOhanessian, who started manufacturing Armenian cheese after coming to this country in 1925. He named his brand Sun-Ni after his two daugthers, Sunny and Nina. Other successful adaptations of Old Country recipes include Hannah Kalajian's Near East Pilaf and Liberty Orchard's popular Aplets and Cotlets fruit candies (lokhoum) originally cooked up by Armenians Armen Tertsagian and Mark Balaban. The Armenian origin of other food products may be obvious only to Armenians. The Hye Roller sandwich, for instance. "Hye" is Armenian for Armenian. The name Hye Roller shows up everywhere these days in reference to sandwich wraps that may (or may not) be made with soft Armenian lavash bread. Who came up with this brilliantly delicious idea? The Hye Quality Bakery in Fresno, Ca., founded in 1957 by Yervant and Grace Ganimian, certainly has a good claim. 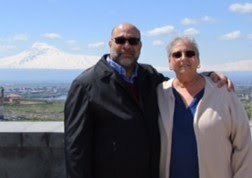 Sometimes, the Armenian connection isn't obvious at all. Like, Peter Paul Mounds. What's so Armenian about chewy, coconut-filled, dark chocolate candy? The company was started in Connecticut by Peter Paul Halajian in 1919. His first success was the Konabar, featuring coconut, fruit and nuts. 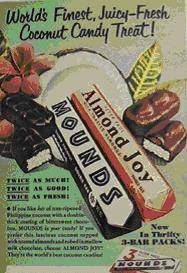 Mounds came along in 1924, and Almond Joy in 1946. It's clear that Armenians have a hand (or two) in many familiar foods. Do you know of other examples? Send us your favorites and we'll tell the world. Delightful post. I am sure most people don't know the meaning of Hye Roller. You ought to link to this post from your next item, which refers to the Hye Roller name. This is too good to miss! All best.